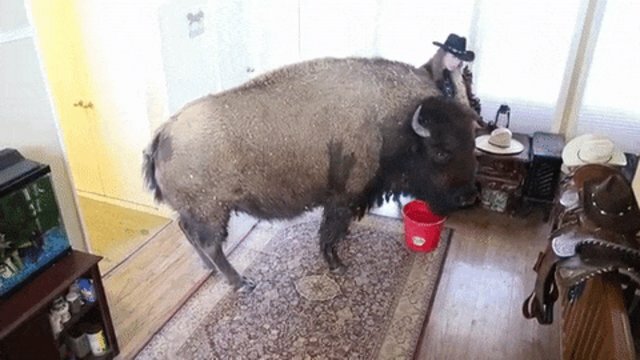 Bullet the buffalo has been inside Karen Schoeve's home several times before, and she's never relieved herself indoors. It's an impressive feat - but unsurprising when one learns that Bullet, who is 7 years old, came housebroken from her previous owners, whom Schoeve adopted her from. 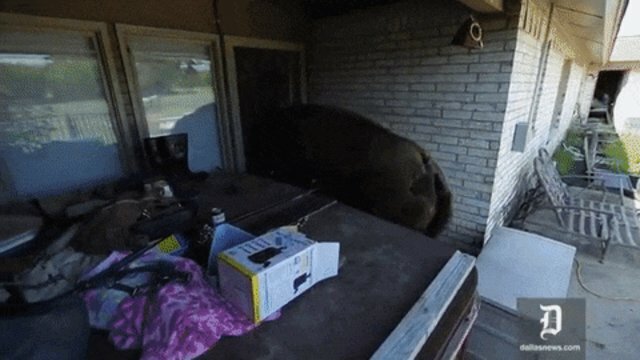 Despite her massive size - a whopping 1,100 pounds - Bullet is surprisingly elegant and hyper-aware of her surroundings while indoors, Schoeve told Inside Edition. According to Schoeve, Bullet had never broken or scratched an item. She also enjoys air conditioning and the view the fish tank has to offer. On Schoeve's ranch in Argyle, Texas, Bullet shared a home with 30 horses, but after five years of ownership, Schoeve sadly had to part ways with her beloved big girl, due to the demands of her full-time job, she told Dallas News. Although Schoeve got plenty of offers at much higher prices than she initially set out in her ad, she told CNN that money was not a factor. Rather, it was all about getting Bullet to the right home where she would have plenty of space and a family who would be able to provide for her all the human interaction she needed, since that's all she's ever known since birth. "Bullet's a dog," Schoeve told Dallas News. "She doesn't have a mean bone in her body." When asked if Bullet was scary at all, Schoeve said there was no cause for concern. "She's got a great personality," she told the local news outlet. After months of searching, Schoeve was finally able to find the perfect, new forever home for Bullet just a few miles away. On Saturday, the buffalo moved into her new home where she has a huge pasture to roam around in and two cows to help keep her company when her humans are away. 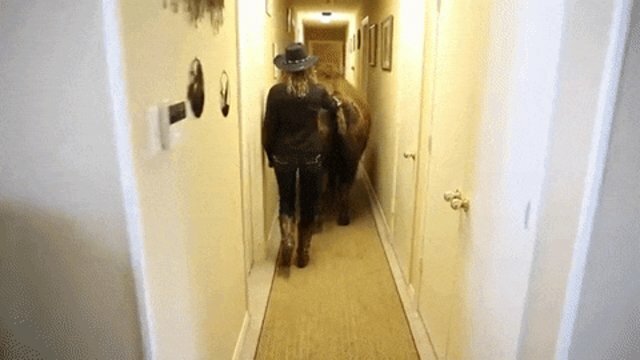 Before Schoeve left Bullet with her new family, the buffalo ran across the pasture to say goodbye to her, she told CNN, adding that Bullet's new owners gave her permission to come visit whenever she wants.